Owning a super fast stylish car is a dream for every guy. In fact, this desire seems to be incarnated in every guy’s DNA itself. It explains why guys take all the risks to own their dream car even if it costs an arm or leg. With advancements in technology and electronics, fastest cars are getting better and they are constantly improved to get into the top spot.When is the last time you fired the question to Google asking, “What is the fastest car in the world?”. If it’s even quite some months ago, I am sure you will not see the same now. So to speak, it’s appropriate to mention the following list of cars as the current toppers of 2018 in terms of speed and performance. I will continue to keep this list updated with the current records. We keep our eyes fixed on the current changes so you don’t have to. Simply bookmark this page and stay updated. All the cars added to this list are production models and none of them is in concept. Let’s fasten our journey, tighten your seatbelts, ladies, and gentlemen. Like all other performance sports car, Koenigsegg is also a mid-engine rear wheel drive sports car which is powered by the 4.8L V8 engine with twin Rotrex. Superchargers of this car are coupled with 6-speed manual transmission which can produce maximum power of 806 HP @ 6900 rpm and maximum torque of 920 Nm @ 5700 rpm. In order to reduce the body weight and simultaneously increase the strength, the whole body is made up of sandwich reinforcements of carbon fiber and Kevlar. With this lightweight design, this car can reach 0-100km/hr in just 3.2 sec and its top speed measured 389 km/hr but the company claims it can achieve 395+ km/hr theoretically. 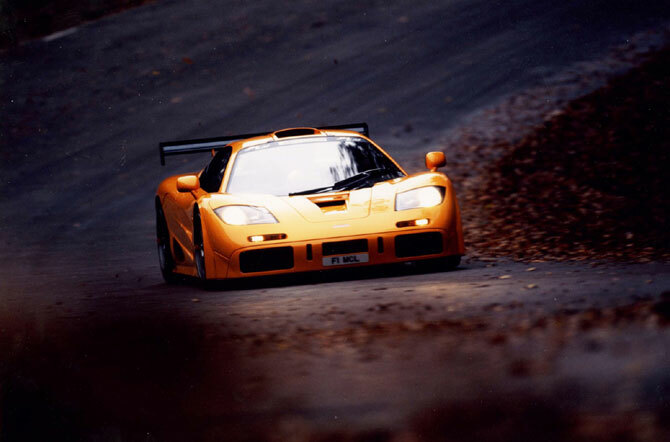 McLaren F1 is a mid-engine sports car designed and developed by McLaren cars. It is power by 6.1L V12 BMW engine. One of the interesting facts about this car is all other supercars included in the top 10 fastest cars in the world are forced induction by turbocharger but this engine is naturally aspirated. It produces the power of 627 HP @7000 rpm and torque output of 651 Nm @5600 rpm. This powerful engine attains 0-60 mph in 3.2 sec and 0-100 mph in 6.3 sec 0-200 mph in 28 sec. Koenigsegg CXX is 2 door coupe mid-engine Rear-wheel drive sports car.It is powered by 4.8 liter V8 twin turbo engine coupled transversal 6-speed gearbox, with the optional paddle-shift gearbox.It produces 806 HP @ 7000 rpm and 920 Nm torque @ 5500 rpm. 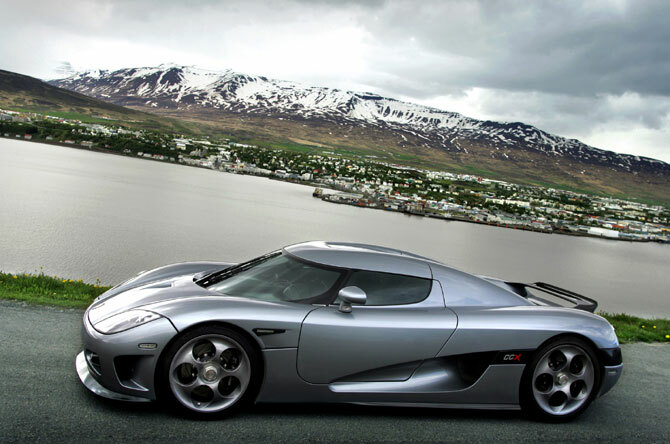 Koenigsegg CCX is known to attain 0-100 km/hr in 3.2 sec and 0-200 km/hr in 9.8 sec. 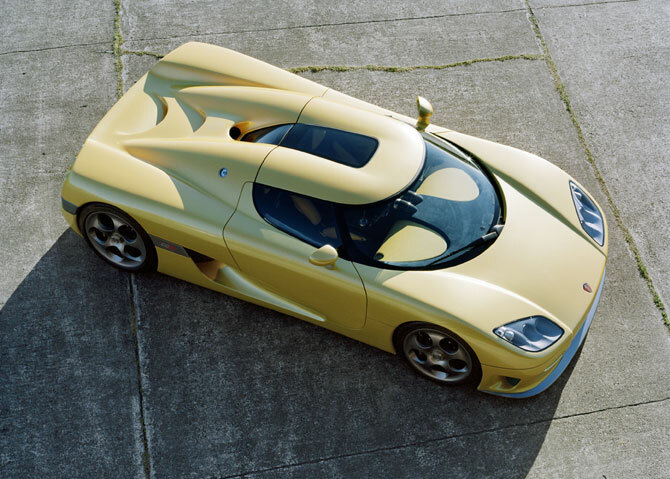 Saleen S7 TT was an updated model of Saleen S7 which is America’s first mid-engine sports car. The power plant of the engine comprises of the 7.0L twin turbo overhead valve V8 engine which is coupled with 6-speed manual transmission. It results in the maximum power of 750 HP @ 6300 rpm and maximum torque of 949 Nm @4800 rpm. 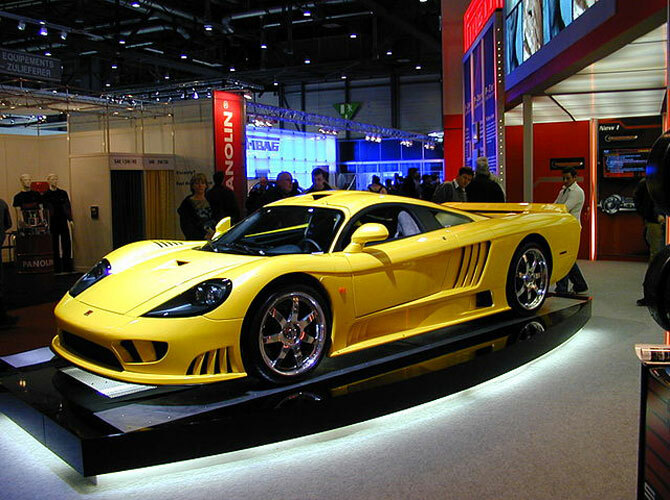 Saleen S7 TT can achieve 0-60 mph in 2.8 sec and 0-100 mph in 5.8 sec and 0-200 mph in just 27 sec. Bugatti Veyron EB 16.4 has set the benchmark for all luxury sports cars. In every list boasting, the top 10 fastest cars, Bugatti Veyron EB 16.4 always reserves the spot. Car of the decade, the best car has driven all year, Guinness world record is some of the many prestigious awards given to this particular model. It’s powered by the W16 engine which has a displacement of 8.0 Liter. This model has a total of 10 radiators. This Bugatti Veyron’s powerful engine is coupled with dual clutch DSG transmission that produces 1001 HP @6000 rpm and torque of 1250 Nm over the range of 2200 to 5500 rpm. It can attain 0-100km/hr. in 2.5 sec, 0-200 in 7.3 sec and 0-300 in just 16.7 sec. The top speed achieved by this car is 408km/h. This top speed is not limited by engine performance but it is limited by its Tire at this speed, tire starts to melt due to the friction between the roads. SSC ultimate aero is produced by Shelby supercars in North America. On April 2013, this car won the title of fastest production car by breaking the record of Bugatti Veyron with a freaking speed of 412.22km/hr (256.14mph). This mid-engine sports car is powered by 6.9L V8 twin turbo engine which produces whooping 1287 BHP @6075 RPM and a torque of 1508 Nm@6150 RPM. This car can cover 0-60mph in 2.78 sec and 0-100mph in 11.66 sec. 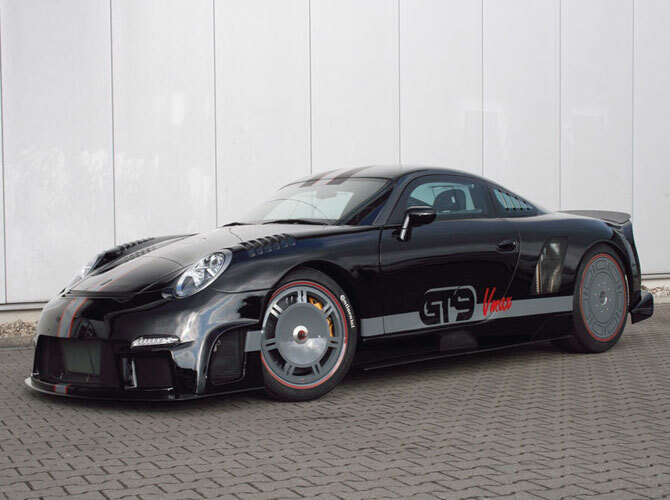 9ff GT9-R is built by a German company named 9ff base on Porsche 911 model. This car is powered by 3.6 L 6-cylinder boxer engine with bi-turbo charging. Its engine is coupled with Aft-mounted H-gate 6-speed gearbox to produce the power of 1380 BHP @ 6800 rpm and 910 Nm torque in the range of 2950 to 5800 rpm. It can attain the speed of 0-60 km/ h in 2.9 sec, 0-100 km/h in 3.6 sec, 0-200 km/hr in 5.2 sec and 0 to 300 km/hr in just 19.5 sec. It can attain a high speed of 414 km/hr (254mph). Depending on the engine variant and the desired features, this car can be priced in the range of 1.5 to 5.4 million USD. All the cars produced till date were sold out. 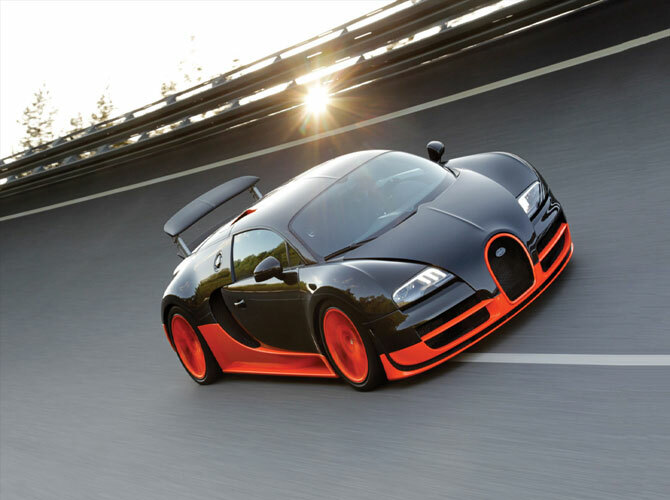 In the line of top fastest cars, Bugatti Veyron always holds a special spot. This lightning speed super sports car is developed by Volkswagen groups (Germany) and manufactured in France. 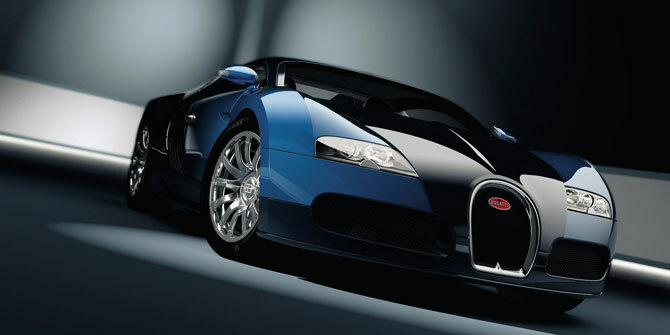 The chassis of Bugatti Veyron is specifically engineered to be stable at the high speeds. It is made up of the 8.0L V8 engine with 7 speed DSG gearbox which can be driven either automate or semi-automatic. This awesome performance of the engine is achieved by a quad turbocharger and quad intercoolers. It produces the maximum horsepower of 1200 BHP @6400 rpm and maximum torque of 1500 Nm over the RPM range of 3000-5000.This high torque helps in accelerating the car very quickly despite of its weight. It can reach 0-60mph in 2.5 sec and 0-200 km/hr. in 6.7 sec and 0-300km/hr. in just 14.6 sec. Its recorded top speed is 267 MPH (430.9 km/hr. Hennessey Venom GT is a 2 door coupe sports car, built on base model “Lotus Exige”. This car is manufactured in Texas, America and assembled in England. Under the hood, Hennessey Venom GT has powerful 7.0 L V8 twin turbo engine which produces maximum horsepower of 1244 BHP @ 6600 rpm and maximum torque of 1155 lb-ft @ 4400 rpm. This powerful engine is coupled with Ricardo 6-Speed Manual Transmission. It can reach 0-60 mph in 2.7 sec and 0-100 mph in 5.6 sec. It holds the Guinness world record for attaining 0 -300kmph in just 13.63 sec. Its recorded top speed is 270.49 mph but theoretical top speed is 278 mph. Just 16 cars have been sold to date. Bugatti Chiron reaches 0 to 60 mph in 2.5 sec and 0 to 186 within 13.6 sec. This impressive figure would beat the Hennessey Venom GT’s current record of 13.63 sec. World’s most exclusive automobile maker, Volkswagen Group has recently debuted the Veyron’s successor, Bugatti Chiron at the Geneva Motor Show. The company claims it as “the world’s most powerful, fastest, most luxurious, and most exclusive supercar”. In street legal settings, this mid-engined, 2 seated luxury car hits close to 261 mph. 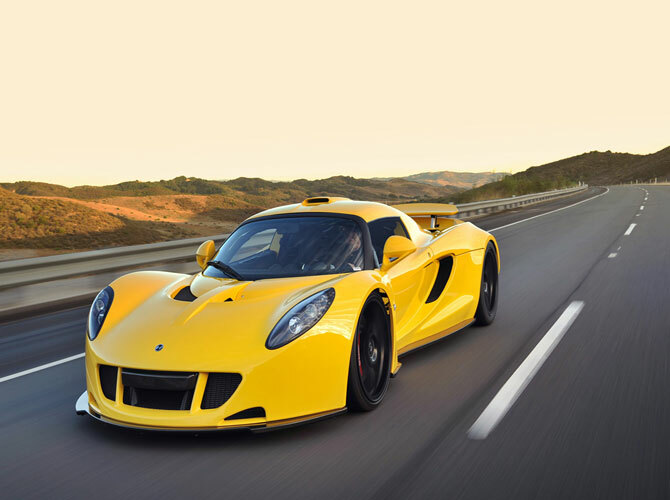 However, without speed limits, it achieves 288 mph which breaks the previous record of Hennessey Venom GT (270.49 mph). 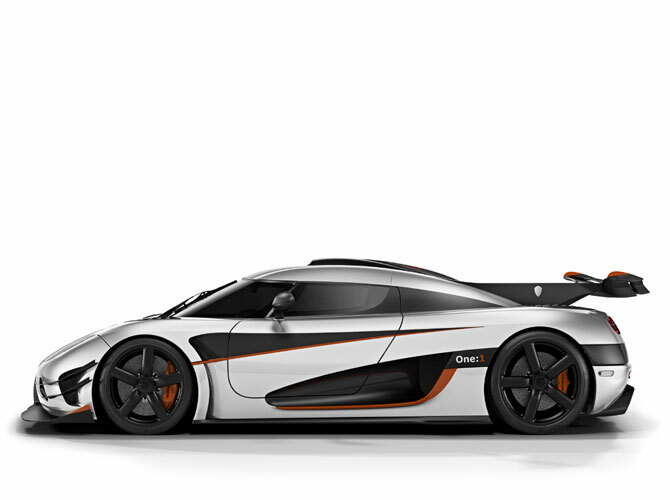 It even broke the record of our theoretical topper, Koenigsegg One: 1 (282 mph). Just like the Veyron super sport, this Bugatti Chiron is designed with 8.0 liter sixteen cylinder engine which utilizes 4 turbos to produce 1500 hp & 1180 lb-ft of torque. Undoubtedly, this acceleration is an epic the world has ever seen. Each cylinder is designed with twin fuel injectors that feed this beast for optimal performance. Though this beast is modeled like a racing car, it is engineered in such a way that anyone can handle it safely. Its 8-speed routes control the machinery automatically by sensing the speed acceleration and deceleration. The price of this beast will be around $2.6 million. As the company aims to produce only 500 units, if you want to reserve one for yourself, you better hurry up! This car is named after the Bugatti factory Monoco driver Louis Alexandre Chiron who was regarded as the fastest driver in the early 1930s. 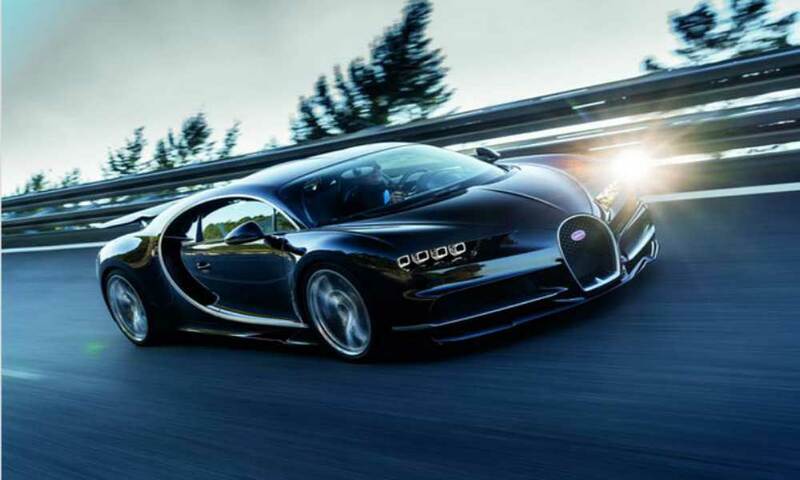 As of now, bugatti chiron is known as the Proven fastest car in the world. Koeingsegg one is mechanical marvels whose chassis is completely made up on carbon fiber. This helps the car in attaining 1:1 power to weight ratio. This is powered by 5.0L V8, dual Turbo engine coupled with 7 speed dual clutch transmission with a paddle shift and electronically controlled differential. It can produce the maximum power of 1341 BHP @7500 rpm and maximum Torque of 1371 Nm @6000 rpm. 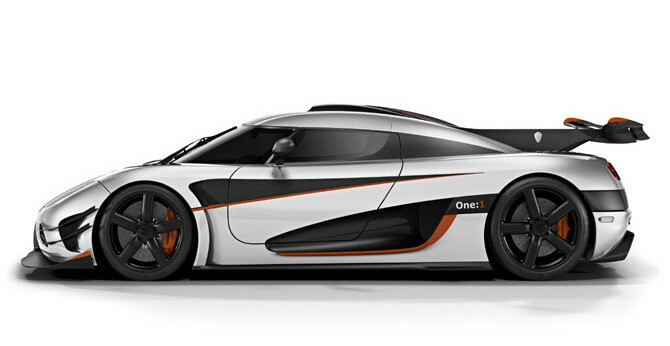 Koenigsegg One: 1 can reach 0-60mph in 2.6 sec,0-200mph in 14.328 sec & 0 -300kmph in just 11.92 sec. This car tops the list with a predicted top speed of 282 mph (454 km/hr. ).However, this speed record was unofficial. When the tracks are said and the tests are made, without any doubt Koeingsegg one:1 would win the title of “world’s fastest car” by outranking the current topper. Hope, our list of top 10 fastest cars in the world has taken your craze on speed to the next level. Regardless of which one tops the list, we always have an endless craze on certain brands. Which one from the list has been a “car of your dream”? If you are given the chance of driving one of them, which one will you prefer? Drop your comments in the section below.